Anomalies during Gabon’s disputed presidential election “call into question” the outcome of the August vote which saw Ali Bongo reelected, a final report by EU observers said today (12 December). The criticisms were not as stinging as defeated opposition chief Jean Ping, who disputes the result and styles himself “president-elect”, would have hoped. But the observers’ 11 recommendations will likely put pressure on Bongo to ensure that forthcoming legislative elections, originally scheduled for this month but now delayed until July 2017, are seen to have greater integrity. Bongo won by a slim margin of around 6,000 votes, sparking two days of rioting and protests. The government say that at least three people were killed in the violence but the opposition put the toll at 26. The EU has said the weekend presidential election in Gabon – whose final result is still not yet known – “lacked transparency”. More than 800 people were arrested following the disorder in the oil-rich central African nation. 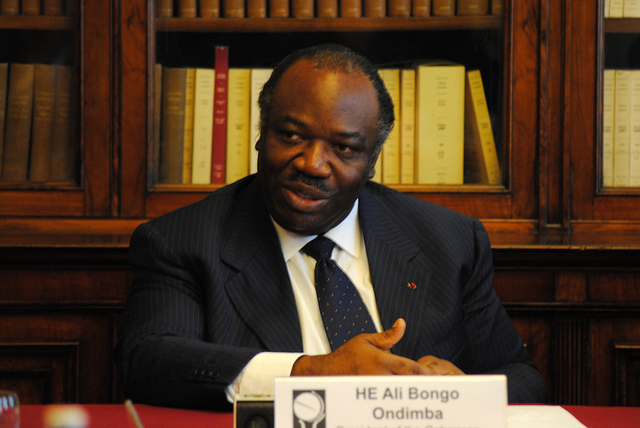 Ping demanded a recount in a move blocked by Gabon’s top court. In the immediate aftermath of the vote, the EU mission said it had observed “anomalies” during the vote count, notably in Bongo’s stronghold of Haut-Ogooue, and those doubts were echoed in the observers’ report. 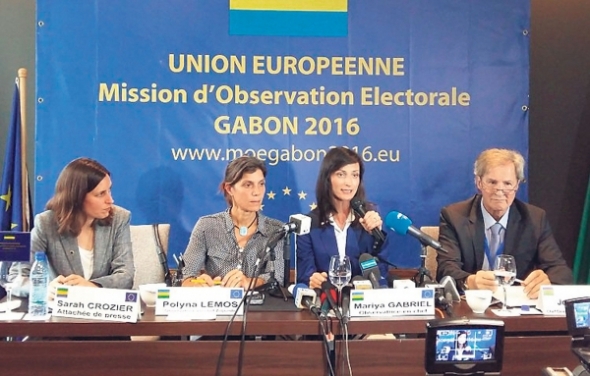 “These anomalies call into question the integrity of the process of consolidating the results and the final result of the election,” said the investigation conducted by the European Union’s Election Observer Mission (EU EOM) in Gabon. Ping, a career diplomat and a former top official at the African Union, had asked for a recount in Haut-Ogooue where Bongo was reported by authorities to have won more than 95% of the vote on a turnout of more than 99%. “It must be stated that the results of this province reversed the trend noted by the mission,” the observers said. Gabonese intelligence wiretapped EU election observers who voiced grave doubts over the outcome of hotly disputed 27 August polls in the oil-rich central African nation, a French weekly reported yesterday (4 October). Raising questions about the turnout, the report noted that the nationwide turnout figure, excluding Haut-Ogooue, was 54.24%. “The number of abstentions, blank ballots and spoilt ballots in just one of this province’s 15 local elections committees was higher than the figure for the whole province,” it said. “This observation raises questions about the integrity of the results from the province” and thus for the overall result of the election, it added. The mission again expressed regret over the verdict reached by Gabon’s top court in September which dismissed Ping’s appeal for a recount based on anomalies in Haut-Ogooue, officially confirming Bongo’s victory. An initial report by the observers expressing concern about the vote sparked an angry reaction from the Gabonese government, with a spokesman saying the mission was “neither neutral nor impartial”. In October, a French newspaper published a report saying the 73-strong European observer team had been wiretapped by Gabonese intelligence.